A beautiful, small, full integral Drop Point by Michael Jankowsky. 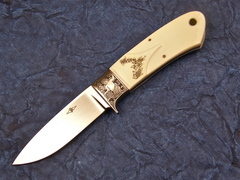 Engraved and scrimshawed by Kati Mau. 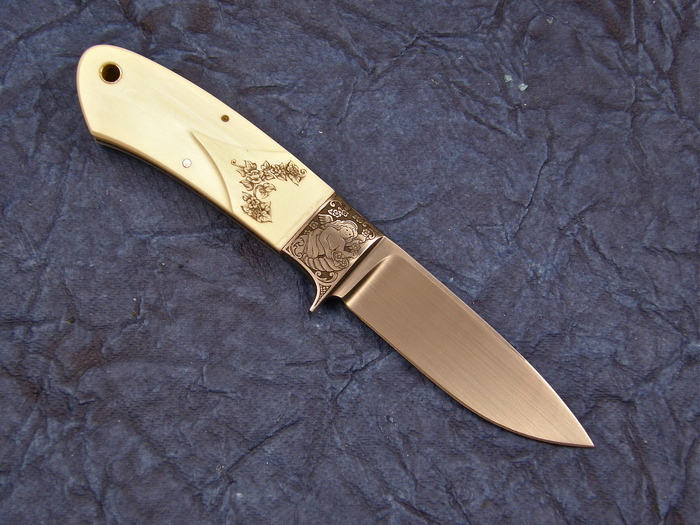 It has carved ivory handles, truly a work of art.